Last week it was proven again that wines from Languedoc in Southern France have an ability to age. 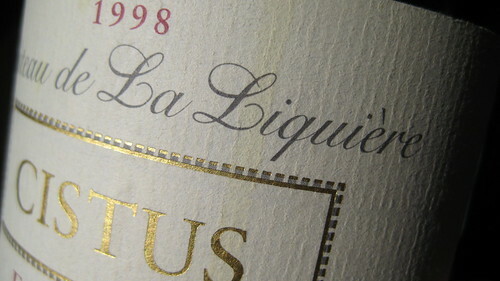 The 1998 Chateau de La Liquière, cuvée Cistus from Faugères had a dense structure with fruit and balance, was superbly mouth-filling and showed a great length. The one year younger 1999 Mortiès from the Pic-St-Loup was more brilliant in colour and also had a more lively fruit and more pronounced acidity followed by a nice length. 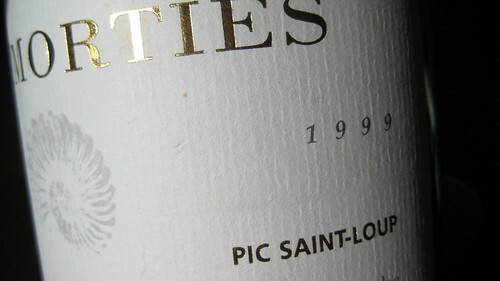 I’m a huge fan of Pic St Loup and find many will keep for several years. They never do of course as my empty wine rack testifies!